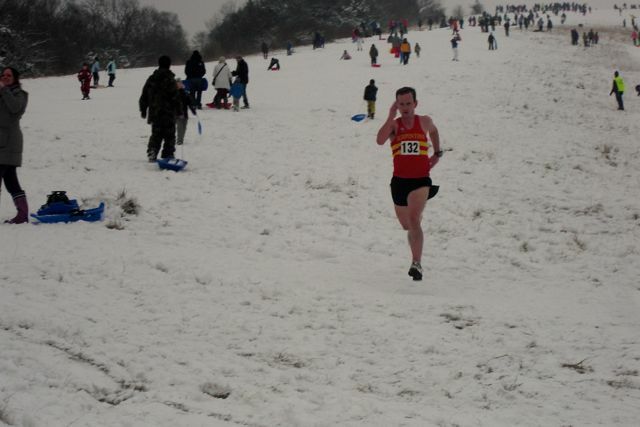 The 2013 Box Hill Fell Race went ahead despite the snow, with almost 200 runners completing the course in under two hours, and only four retirees. Overall results are here, and by age group here. The organiser, Andy Robinson, has also filed a race report. The Men’s Race was won by Harold Wyber in 54:19, four minutes slower than the run which earned him second place last year. The fastest woman was Victoria Basquill, who also improved on her second place from last year, only two and a half minutes slower than 2012. 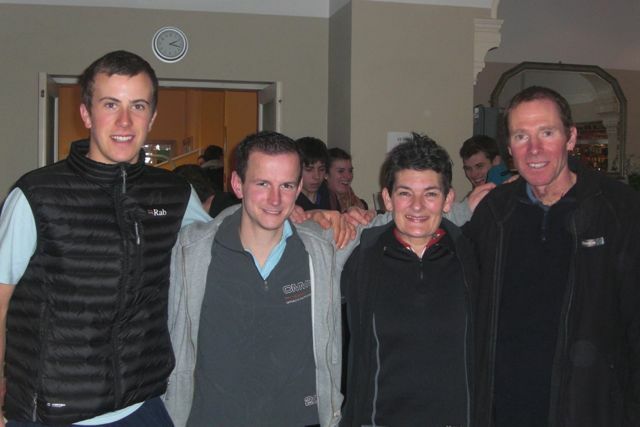 Both are from Serpentine RC, the club which dominated the event and took first place in the club competition. The snowy conditions made for some cautious running in places, and the competitors had to share the slopes with a large number of people sledging, skiing and snowboarding. Teams are formed by groups of the four fastest runners from each club. 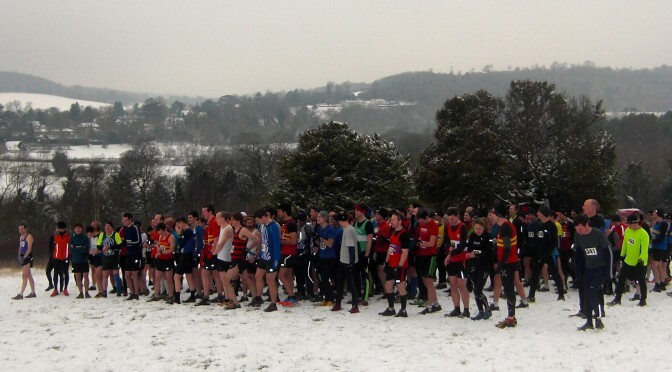 Serpentine RC fielded 25 runners, with 17 from Tring RC and 12 from Cambridge Harriers.